Up in the morning for a wander round Breda’s town centre, taking in the wide space, cafes and restaurants of the Grote Markt and also the Grote Kirke, a light and airy cathedral that also lays out the history of the Nassau family and the Princes of Orange. business, with reasonably priced fares and frequent connections across an extensive network. So despite a bit of confusion when we get off a stop too early for our connection in Rotterdam, we get to Amersfoort in good time. The Van Der Valk Hotel A1 is evidently so-named because it’s located on the A1 ring road. It’s a modern, glossy place, but our motives for being here are reflected in a photo of Mick’n’Keef on the bedroom wall. The gig is in the next door suburb of Hoogland, and as the snow closes in again we get a taxi to the local eatery De Faam, where I get to sample Wildstoofpot, a tasty casserole of venison, rabbit and (I’m guessing) wild boar, before we make tracks the hundred metres or so to Café de Noot, as the snow gets heavier still. 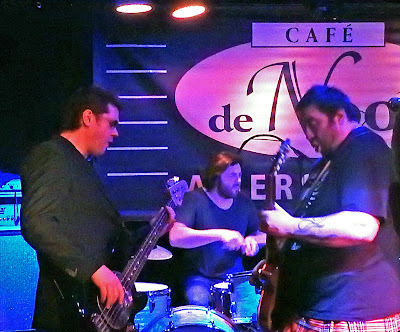 Café de Noot is a real old-fashioned rock venue, a low-ceilinged, L-shaped room with a cramped, foot-high stage, decorated with musical instruments and posters celebrating everyone from Zeppelin to Buddy Guy, Rory Gallagher and Joe Bonamassa. It’s also a sell-out tonight, and the two bars are doing a roaring trade. A De Konincke beer? I don’t mind if I do! When Sean Webster and pals get going, Cafe de Noot shows off another asset. If the sound balance in Breda was spot on, it was also a bit clean. Here though, it has more oomph, generating the right kind of grit for a blues-rock gig. with the sensitive narrative quality of Keith Urban's ‘Til' The Summer Comes Around’ and the bump’n’grind of ‘I Don’t Wanna Talk About It’, on which Webster’s vocals assume an eye-popping intensity. Then King King are onstage and plugging in, as usual to the strains of ‘Alright Now’, and it says something about this crowd that they need no second invitation from Alan Nimmo to join in with the Free classic. These punters are here to have a good time. They’re damned tall punters too, some of them, and though I’m barely 2 metres from the stage there’s a good deal of head-tilting required to keep Nimmo in view. But it really doesn’t matter, because by the time they get through a floor-shaking ‘Lose Control’ and into ‘Wait On Time’, it’s clear that tonight King King are cooking on gas. Notes? Feck taking notes! There’s more urgency apparent tonight as they get to grips with ‘Waking Up’, with Nimmo getting his monitor level fixed with a nod and a wink to the sound desk without breaking stride. His solo on ‘Long History Of Love’ is electrifying, even if some of the audience are a bit too vocal during the quiet section, leading him to suggest in his polite Glasgow manner that if they want to talk all night they can go outside and do it in the snow. The room is rocking again for ‘More Than I Can Take', the place getting sweaty by now, and on ‘You Stopped The Rain’ Wayne Proctor’s drums seem to be driving Alan Nimmo to even greater heights on his closing solo. In fact tonight I get more of an opportunity to pay attention to Proctor’s drumming, not least on ‘Take A Look’. In some ways he’s an unobtrusive sort, not one for crashing around an array of cymbals – he only has two, for a start. 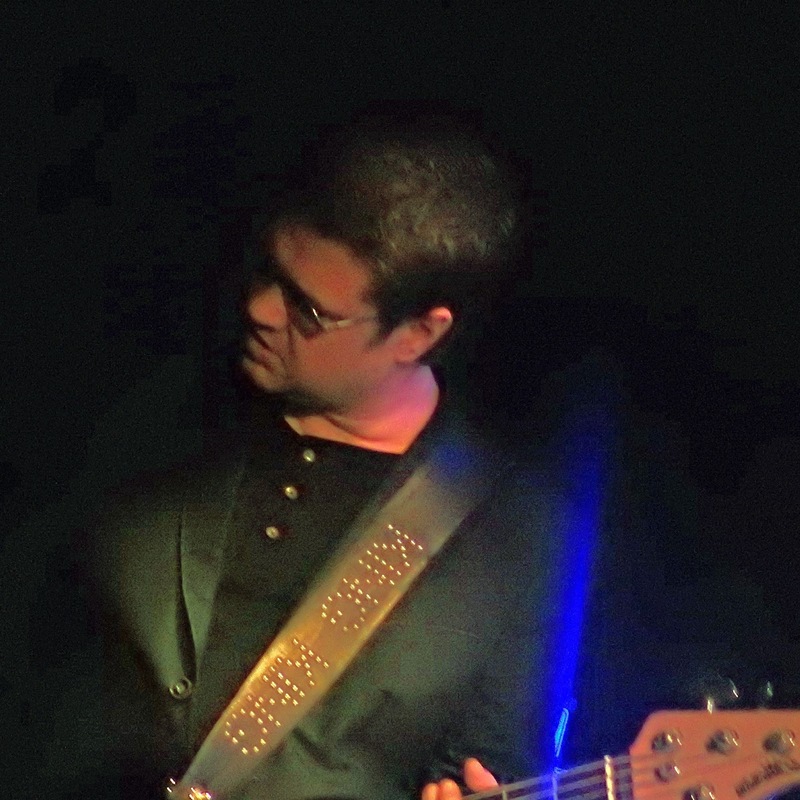 There are drummers I’ve seen who pay close attention to their guitarist, following their moves and underlining solos with little stings and flourishes, and they can be great at it. Proctor doesn’t do that. He doesn’t watch Alan Nimmo – in fact half the time his eyes are half-closed, as if he’s feeling the core of the song and bringing his drumming from somewhere deep down underneath to push it exactly where it needs to go. Alan Nimmo may lead King King from the front, but Wayne Proctor is one hell of a back seat driver. On ‘All Your Life’ Nimmo gets into finger-snapping jazz-band leader mode as urges Bob Fridzema to “Go Bobby”, while Proctor amuses Lindsay Coulson with his own more pithy encouragements to Bob. Proctor’s drumming in the middle of ‘Stranger To Love’ is immense, and the crowd are on their best behaviour during Nimmo’s sotto voce guitar solo, with no further threats of expulsion required. There’s no messing about tonight with lengthy exits before an encore – God alone knows where the dressing room is, but it may require a trip outside. So they only take the briefest of breathers before bringing the night to a close with ‘Let Love In’, to which the crowd add lusty vocal assistance. Then it’s time for another drink – yep, a De Konincke will do nicely, thanks – before heading out into the snow. King King should really be playing in bigger places than Café de Noot, as they are nowadays back in Britain. 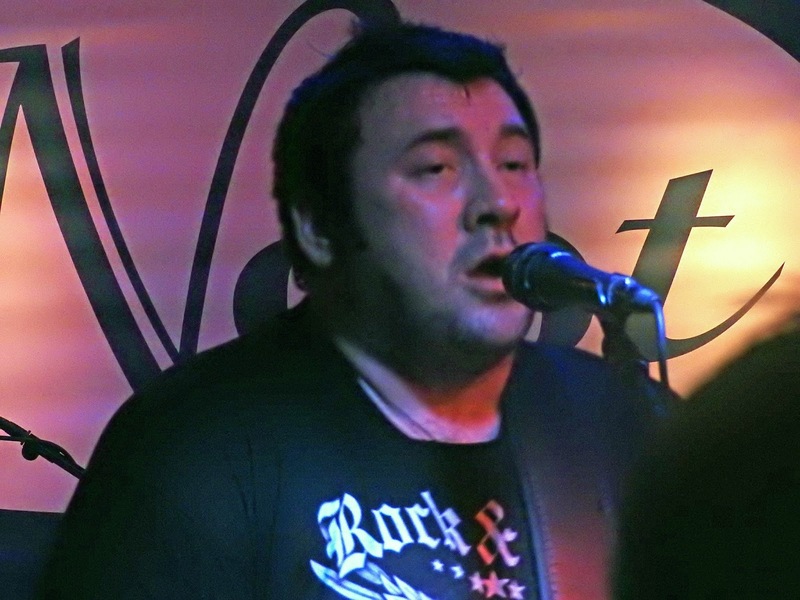 But for now it’s great to catch them up close and personal, rocking a genuine rock’n’roll joint. You can find Part 1 of Taking the Low Road here.